The movie making business is a hard one so it’s perhaps understandable that so many people outside of the business view it as a gamble. It’s a gamble that you’ll even be able to get your foot in the door, it’s a gamble that you’ll connect with the right people, it’s a gamble that you’ll work on the right projects, projects that will get your name out there. But being willing to take that gamble, double-down and bet on yourself is exactly what you need to do to succeed. When we first went on set, I didn’t know a lot of terminology. So it was a huge learning curve when someone was like, “Hand me this, or hand me that. Or can we do this? Let’s do this shot.” And I didn’t know at all what was going on…I was trying to fake it but without looking like an idiot and trying to learn. If it was a case of sink or swim, Taylor swam. He honed his knowledge of the filmmaking during his time in the program, learning the hands-on practice of making films, along with film structure and the business-side of being a filmmaker. 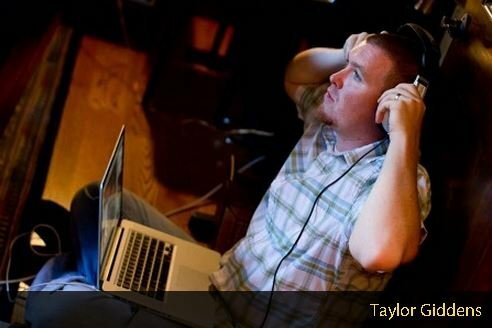 Taylor recently completed two creative endeavors that garnered lots of attention and positive movie industry feedback. One is a 16-minute short film Back to Basics, which chronicles a married couple who is forced to go back in time to attempt to fix their relationship problems. He also directed and produced the short Breakfast with Clark, a Superman fan film that film took second place in the International Superman Fan Film Festival. Taylor bet on himself and that bet is paying off. He has the connections and know-how to make films and he’s doing just that—making films. As he’s perfecting his craft and is building a following, he’s doing quite well by applying his talents to creating the digital content, commercials and videos businesses need to succeed, all with a careful eye and superior work ethic. Taylor’s slowly moving towards making feature films in tandem with growing Kelly Productions into a thriving business. If Taylor hadn’t bet on himself, he wouldn’t have the knowhow, connections and success he has today. Taking the gamble to invest in his career, get in, work hard and make a path that leads him right where he wants to go, well that’s a bet we can believe in. Just imagine where Taylor would be if it hadn’t enrolled in the Film Connection. He wouldn’t have the connections and know-how to make the things that he’s made so far. He would still be struggling with getting his foot in the door as opposed to focusing on how to make the best content for his clients. Any aspiring filmmaker has got to be someone who’s prepared to jump on opportunities the moment they’re found, who’s willing to bet on themselves and do what it takes to win big. John Greenham of Infrasonic Sound Joins Recording Connection! Recording Connection grad Jesse Rhodes: Head Engineer and member of indie duo Dire Docks!